Lebert Construction has been creating quality homes since 1990. Started by Culley Lebert and his father, Gregg. We are very experienced in guiding clients in the new home building process. From design to completion we work hard to assist our clients in making informed decisions that fit their design and budget. We believe that building strong relationships, and trust are the keys to a successful project. In an effort to provide our clients with the best experience in an ever-changing industry, we are continuously striving for improvement through education. 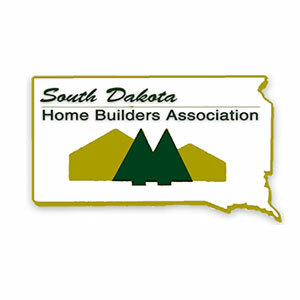 Culley is proud to serve on the 2019 Board of Directors for the South Dakota Home Builders Association. Through Quality, Trust, and Service we strive to provide our clients with a quality product that they can be proud of. We believe quality is created by skilled craftsmen who take pride in their work. Since we are a hands-on company involved in all aspects of the project, we can guarantee our clients a quality product. Lebert Construction's management team are current and active members of the most well-reknowned and respected associations in the state of South Dakota. One of the largest HBA's in the nation with over 1,000 members and affiliates. Culley has served on the Board of Directors for the HBASE including its President in 2015. 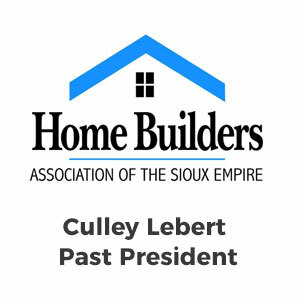 Culley is an alternate director for the South Dakota HBA. This non-profit promotes home ownership and affordable housing through active participation in industry-related issues. Lebert Construction is a hands-on company specializing in custom homebuilding and remodeling, dedicated to building Quality homes that will last a lifetime.